Web games helped us occupy our free time long before mobile and tablet gaming came along. Whether you use them during bouts of procrastination or sneak them in during those long days at the office, web games have long been our favourite ways to waste time. Countless hours have been lost to some of these addictive web games over the years and, once you start playing, it’s easy to see why. Geoguessr is an ingenious web game which uses Google Maps to test your geography knowledge. 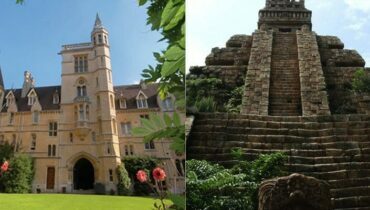 However, this isn’t a simple ‘name the capital’ or ‘identify the landmark’ exercise. Geoguessr uses Street View to take a random snapshot of a location which often doesn’t have any identifiable markers. Is that dusty dirt path in Cambodia or Kazakhstan? Or are those endless fields in Wales or New Zealand? Players get more points for getting as close to the location as possible by pinpointing their guess on the map. Moving and rotating around can often make it a little bit easier, but sometimes you won’t even know what continent you’re looking at. 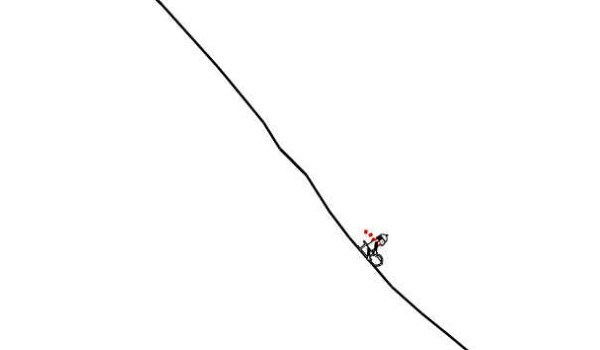 Line Rider is an oldie but still a goody. It may not look as innovative now thanks to the countless physics-based games which have been released in the years since, but there is still plenty of appeal to be found in this charming sandbox. Players are given a huge canvas to draw lines which make up a track for the sleigh-riding character of the game “Bosh”. The track has to be smooth enough so that Bosh stays on course and doesn’t fall off or lose momentum. Although it sounds simplistic, there’s plenty of creative potential to unlock as arty players can create truly ambitious courses full of loops, jumps and other crazy stunts. 10 Bullets is a retro space shooter with a difference. As the games title sequence states “How many ships can you destroy with 10 bullets”? This may seem like an extremely limited amount of ammunition given how many enemy spacecraft appear on the screen, but as each one explodes it releases debris which can take out other ships. The key is to carefully time each shot so that it releases a domino effect of explosions. The strategic angle of 10 Bullets make it a nice change of pace from the button-mashing, click-frenzy nature of most web games and it’s easy to kid yourself that you’ll just have another 10 more bullets to try and top your high score. 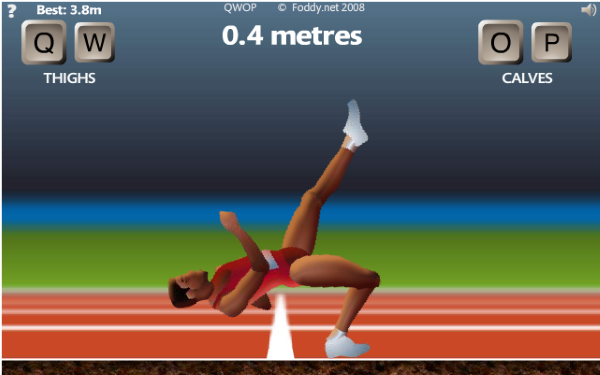 The purpose of QWOP is pretty neatly summed up by its name. Using the four letters on the keyboard, players take control of an athlete running the 100 metres race. Q and W control the thighs while O and P control the calves. The objective of the game is to skillfully master the control of each leg to make the athlete move forwards. However, coordinating them together is no easy feat and many consider QWOP to be one of the most difficult and frustrating games to be found on the internet. While most players will want to give up after the tenth time their character falls to the floor in a heap of tangled limbs, this simplistic ragdoll manipulator is weirdly addictive for those who manage to get the hang of it. Remember, it’s all about the baby steps. Think that an MMORPG is too ambitious to be run in a simple web browser? The Kingdom of Loathing may be a text-based adventure with stick man style art design but it’s also a very sharp and addictive parody of the RPG genre. Players can create a character, complete quests (the game runs on a turn-based system) and interact with others in guilds and via trading. The game was first released in 2003 and is still being regularly updated with fresh content, so it’s always drawing in players new and old to see what quests lay in store. However, the main draw of Kingdom of Loathing is its wicked sense of humour which has plenty of puns, pop culture references and silliness to appeal to anyone who wants something different from their RPG games. 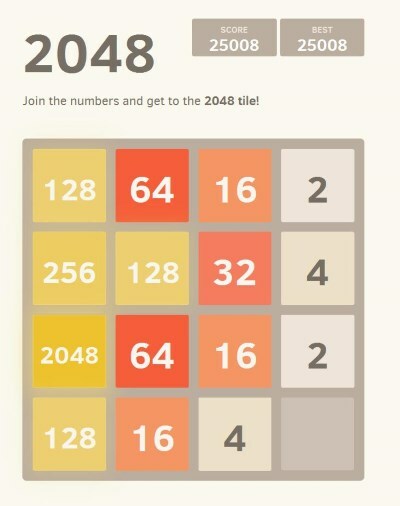 2048 is for people who like a little more cerebral stimulation from their web games. The objective is to move around the numbered tiles in a 4×4 grid and merge same value tiles together to create a higher value. The tiles add together each time they are merged but a new tile is introduced each time a move is taken, and the end game is reached when players manage to get to 2048 without filling the grid first. The web game may be an unabashed clone of 1024 and Threes! (the creator has admitted as much and was surprised when the game’s popularity surpassed that of its predecessors), but it’s a frustratingly addictive spin on the formula and the 2048 target is much, much harder to reach. There have been countless tower defense and wave combat games in recent years, but one of the originals is still the best. Deskopt Tower Defence may lack the polish of more recent genre hits like Bloons Tower Defense and Kingdom Rush, but Desktop Tower Defense has the refined fundamentals which will appeal to any fan of the genre. 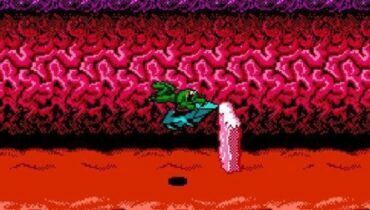 Players know the drill: stop the waves of enemies (‘creeps’) from reaching the escape points by blocking their path and whittling down their numbers with different weaponry. 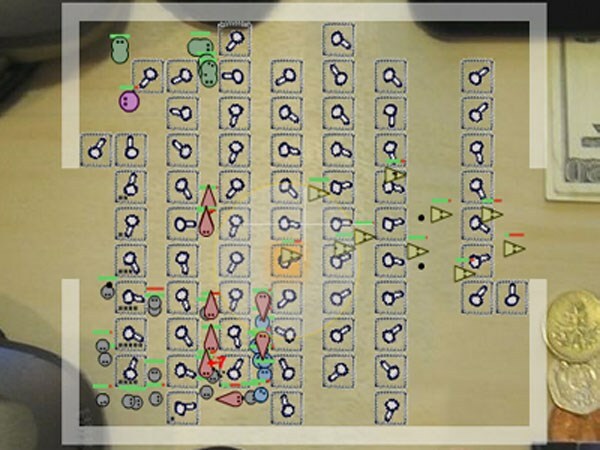 Unlike most tower defense games, the creeps don’t just go down a set path and will try and find the quickest route to escape, so players have to skillfully balance the right choice of strategic turrets as well as create a maze-like labyrinth to slow down the creeps so they can whittle down the waves. It can be incredibly time-consuming trying to advance through all the levels, but it’s so, so rewarding when you do. 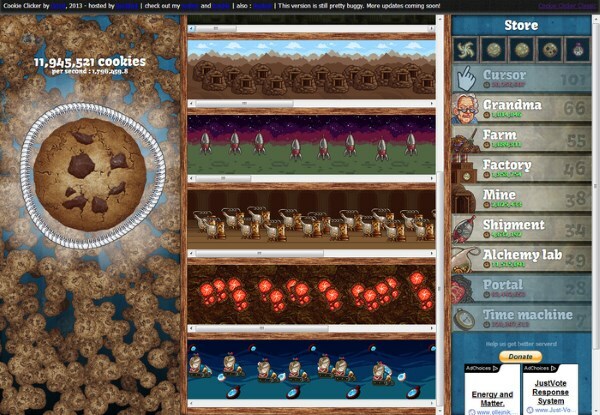 Everyone underestimates the lure of Cookie Clicker. The massively popular web game has an undeniably silly and basic premise. You simply click the giant onscreen cookie to receive more cookies which you can then exchange for more powerful cookie-making tools. Sounds simple, right? Cookie Clicker is that it is ridiculously addictive and you’ll always be trying to increase your ‘cookies per second’. 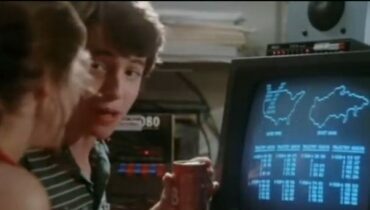 Even when you get to the point where your entire operation is entirely streamlined and the game is just running away in your browser making millions of cookies per second, you’ll still be watching your cookie figure go up and up and wondering if there’s any more you can do to refine your cookie operation. Clicking Bad is a variation on the game for those who don’t have a sweet tooth and would rather go Breaking Bad by making meth instead of cookies. Tetris is probably one of the most iconic and enduring video games ever made, but the thought of somehow playing the falling block puzzler as a competitive multiplayer is a bit, well, puzzling. 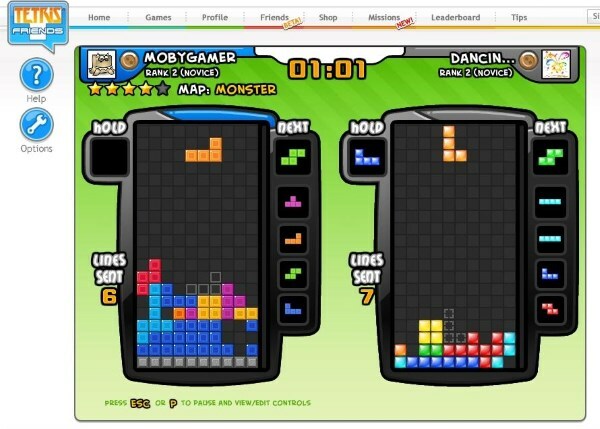 Tetris Friends has found a pretty ingenious way of introducing a battle mode to the game. Players fight by clearing lines faster than their opponent and the goal is to make the other person reach the top of the screen first. This can be achieved by sending ‘garbage’ lines (grey blocks which the player can’t get rid of) across to their screen by clearing lines. Players who have been playing Tetris for decades will find that the game has been given a new lease of life thanks to the multiplayer (and other modes) available in this addictive spin on a classic. Tagpro will be a breath of fresh air to players who are more accustomed to freemium or pay to play mobile games. Tagpro doesn’t require a subscription, there’s no unlockables, no purchasable items and no xp system. All you need is skill and teamwork. 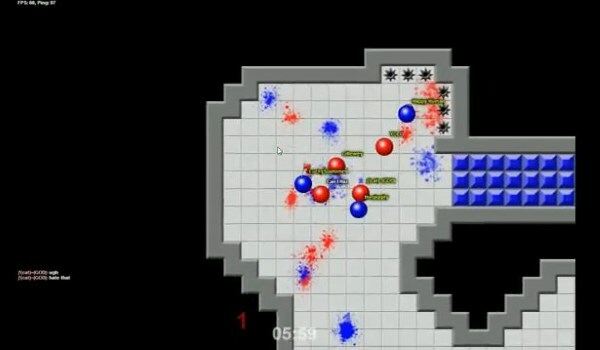 The fundamentals of the game are deceptively simple – it’s basically just capture the bag with a bunch of balls rolling around the screen – but Tagpro has a huge level of depth and strategy. It’s easy to drop in and play when you want a quick game but it’s also just as easy to lose hours to it. Unlike most web games which have a tendency to ‘fizzle’ out after a few years, Tagpro still has a huge and active community which is very noob-friendly.